The process of relocating to a new place brings with it the introduction of new seasonal traditions and having moved to Wisconsin less than two years ago, I have to say that I’m still learning about them. One Wisconsin seasonal tradition, though, is impossible to miss: fall apple picking. 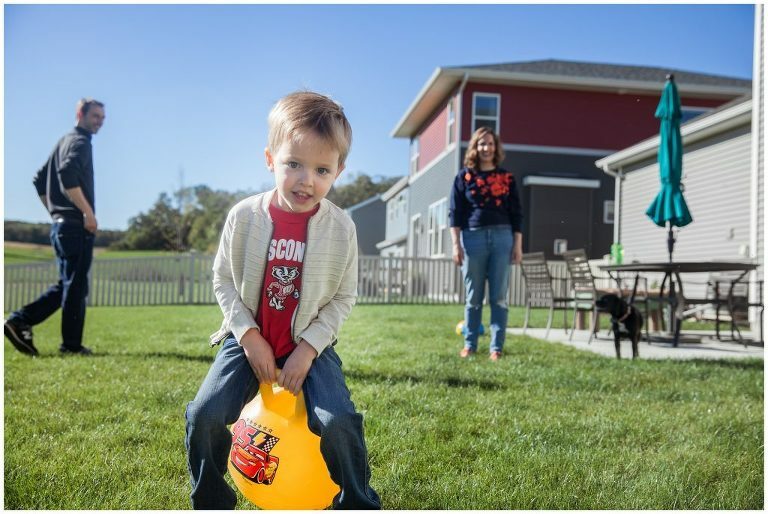 At least in the Madison area, apple orchards abound and on a beautiful fall day you’ll find families frequenting all of them picking apples, enjoying delicious apple cider donuts, playing and maybe even grabbing a few early-season pumpkins. 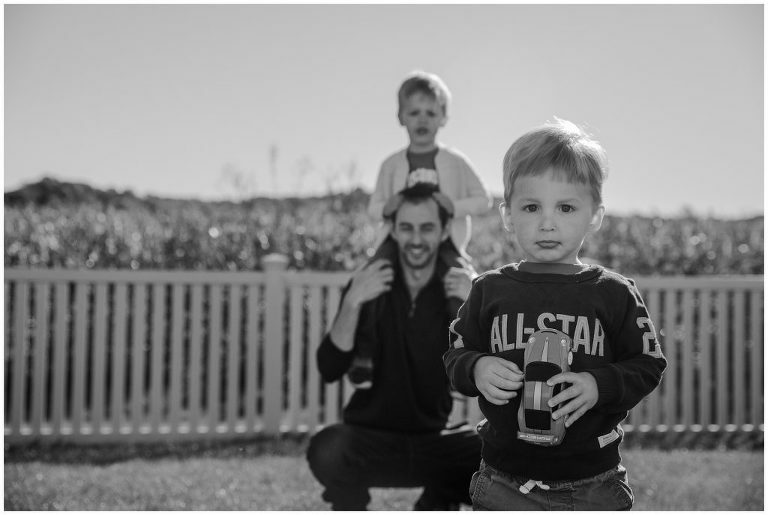 Last fall, I was lucky enough to accompany this super fun family on their apple picking adventure and in the process take some apple orchard family photos for them. We started the morning at home, playing in the yard, riding bikes and blowing bubbles and then made our way to Appleberry Farm where mom, dad and kids picked apples, rode on an awesome tire swing and finished the morning with some of those delicious donuts. 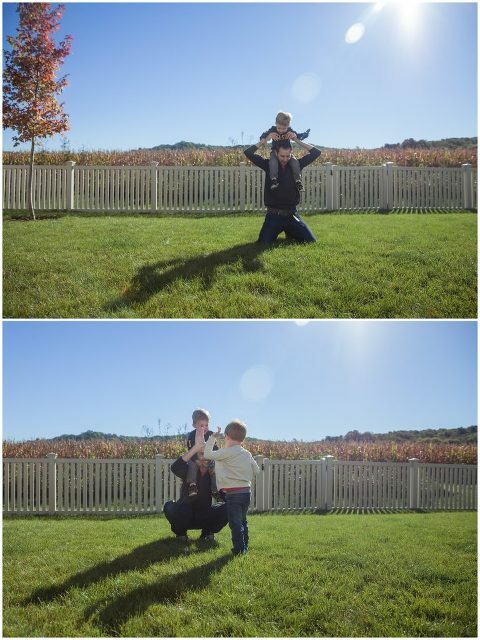 The blue skies, changing leaves and apples and pumpkins–it all adds up to a beautiful fall family session. 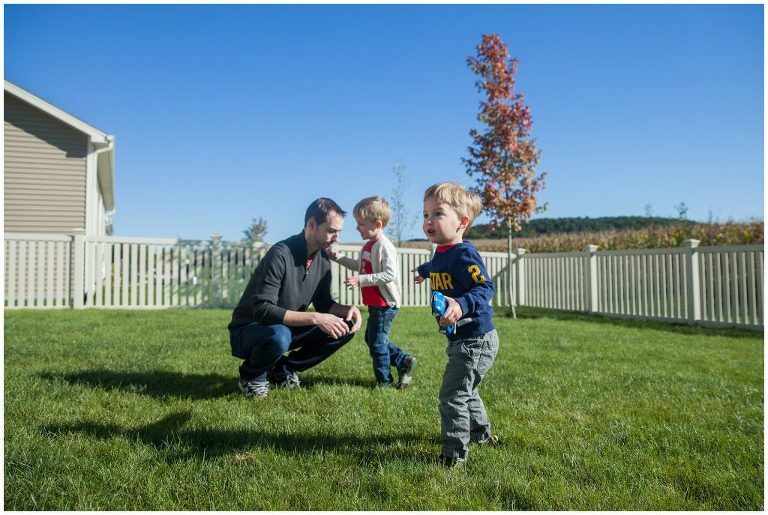 I hope you enjoy these family photos and that they help you get out to enjoy some apple picking of your own when autumn comes our way again!